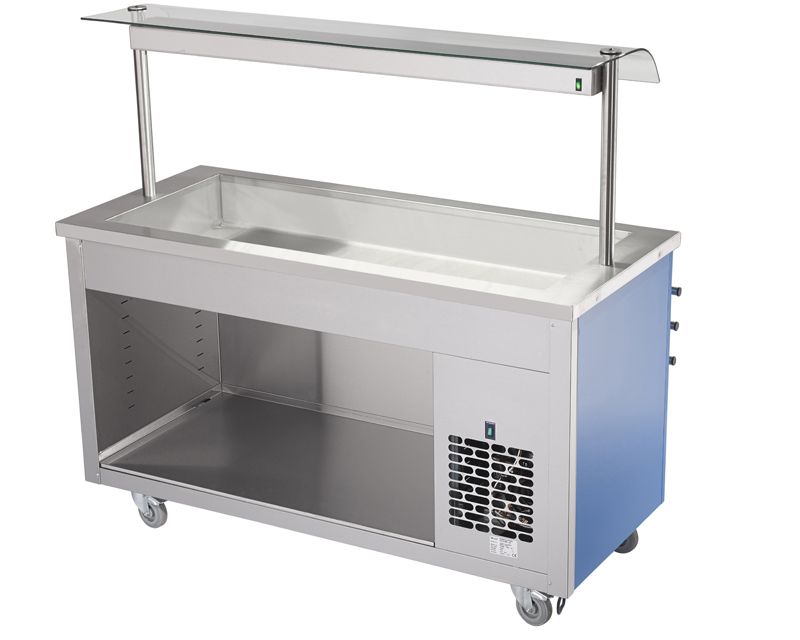 GN1/1 gastronorm compatible contact cooled refrigerated mobile salad well. Ideal for general purpose usage in all catering establishments, schools & colleges, residential care homes, pubs, hotels and cafes. All unit are fitted with two metres of cable and single 13 amp plug. 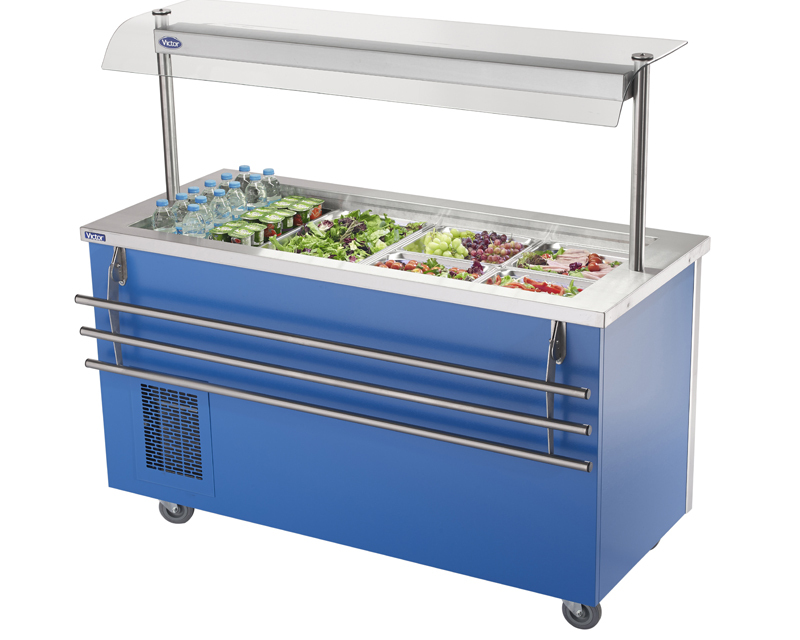 In use refrigerated frost top units will have a surface temperature of -1°C to -5°C in ambient temperatures up to 25°C – 60% Relative Humidity. 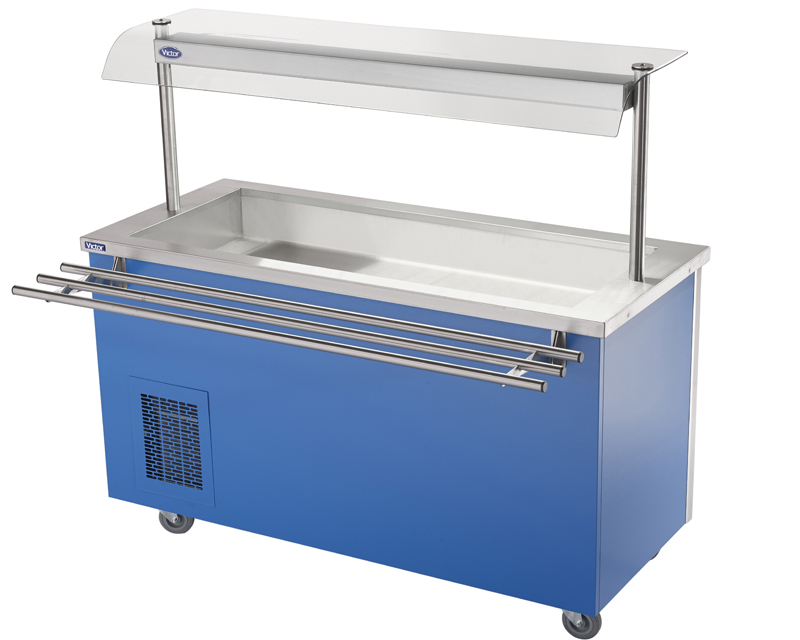 Completely sealedÂ well giving for easy cleaning. Ambient servery counters for a variety of uses Top can be customised to form a beverage station. Single skin models Model No: CARIB20.12- 1206mm Model No: CARIB20.16 - 1606mm Model No: CARIB20.19 - 1906mm Double skin models Model No: CARIB10.12- 1206mm Model No: CARIB10.16 - 1606mm Model No: CARIB10.19 - 1906mm Picture shows CARIB10.19 unit finished in beech effect plastic coated steel optional round bar tray slide.